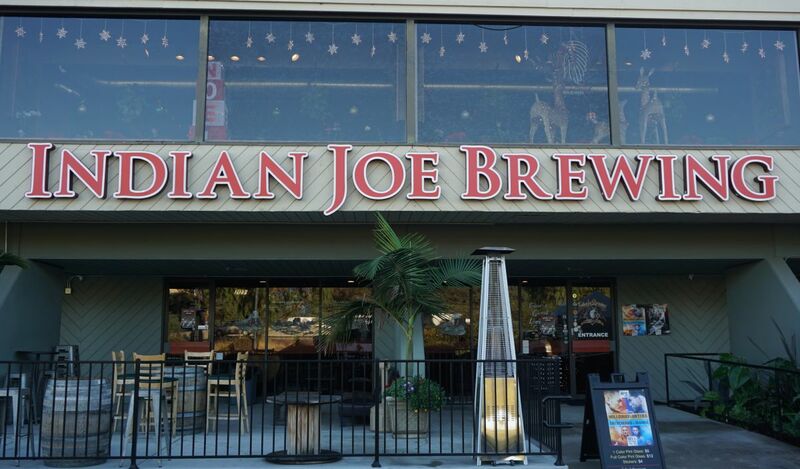 Indian Joe Brewery is in Vista and I didn’t get up to visit the brewery until recently, mostly because I don’t really hear much about them. What made me want to stop by was their choice to expand into a larger facility. I tried a few tasters and while I was drinking a few beers I was invited to check out the beers barrel aging in the back. That was where I realized that they are a real hidden gem. I started with two berliner weisse style beers. One with dragonfruit and guava, and another with apricot and peach. Both were a bit sweet for the style and also stronger than usual at almost 6.5% abv. The guava dragonfruit was not particularly fruit flavored but mostly sweet with a light tart finish. The apricot peach was also pretty sweet with a white cake base and some mild apricot notes. I didn’t really care for either but thankfully I was introduced to their proper sours shortly after. 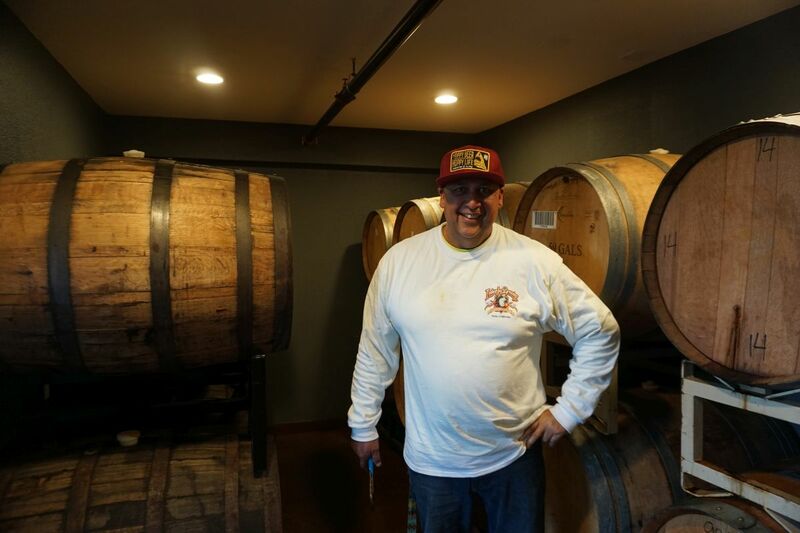 The head brewer took me and one of his regular visitors back to the barrel aging area where there were a variety of sours and imperial stouts in different manner of oak barrels. What impressed me for most of the barrel-aged beers was how dry they all were. Lots of beers over 9% alcohol tend to be thick and sweet with all the residual sugars. 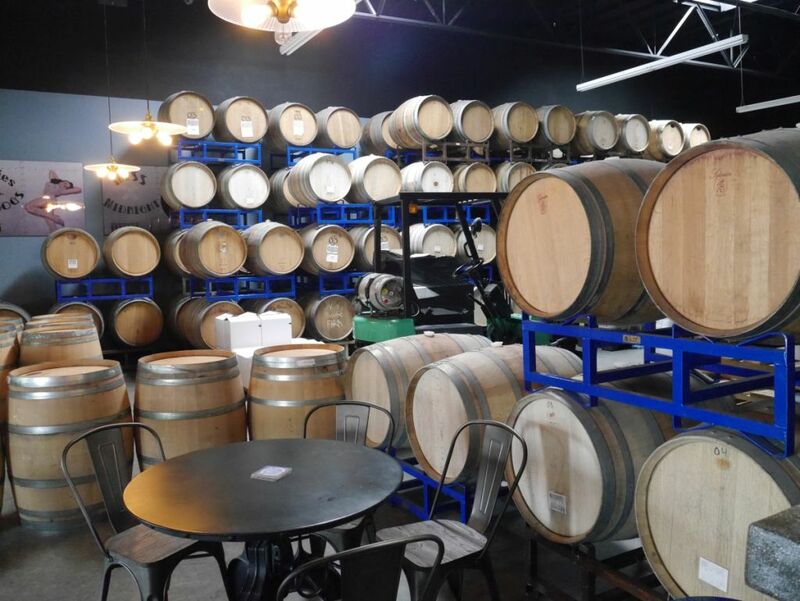 All the beers I tasted in the barrels were fully attenuated and had a dryer finish more like wine, both stouts and big sours. Two that most impressed me were the dark sour aged in cabernet sauvignon barrels, which was incredibly balanced and had lots of red wine notes. Another impressive beer was the imperial stout aged in bourbon barrels with chocolate. It was also incredibly dry and had tons of fudge notes. My experience with the barrel aged beers led me to order a strong dark barrel aged sour immediately after finishing. This beer was brewed with blackberry and blackcurrents. It was incredibly dry with lots of jam and berry notes with a light tart finish. 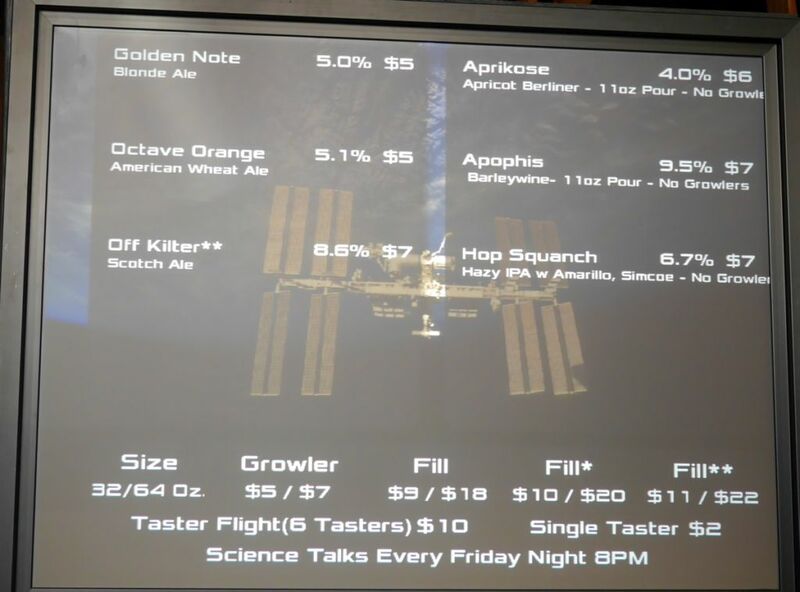 While tasting the beers, I asked the head brewer why these beers aren’t released in some sort of online pre-sale or as limited bottles in the tasting room. He answered that he wants them available for the regular visitors so they simply tap them when ready.. I finished with Indian Joe IPA which was dry with notes of cirtus and pine with a mild bitter finish. The beer had a nice balance and was properly west-coast style. Beer geeks I suggest avoiding the various fruited berliners and stick to the IPA and stronger barrel aged sours and other barrel aged beers if they are available. Indian Joe is one of the few local breweries that impressed me where I hadn’t heard much about them before hand. To me this makes them more underrated than most local spots. 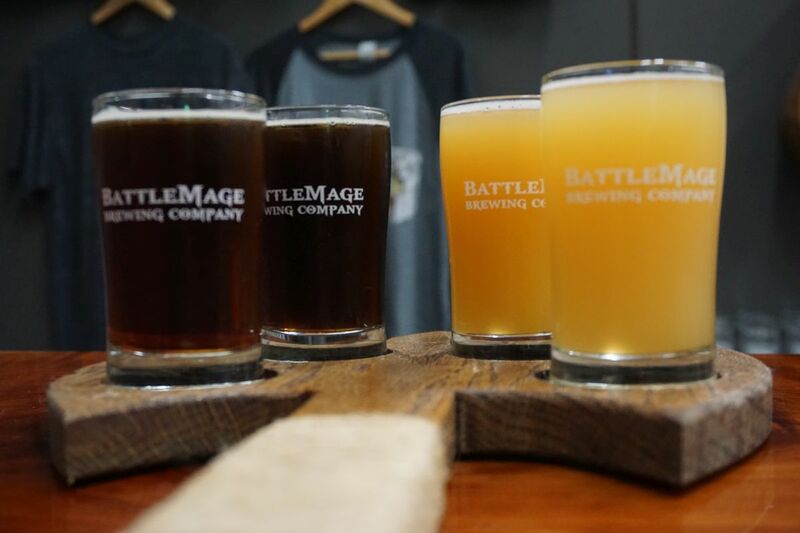 I tried four tastes while at Battlemage. 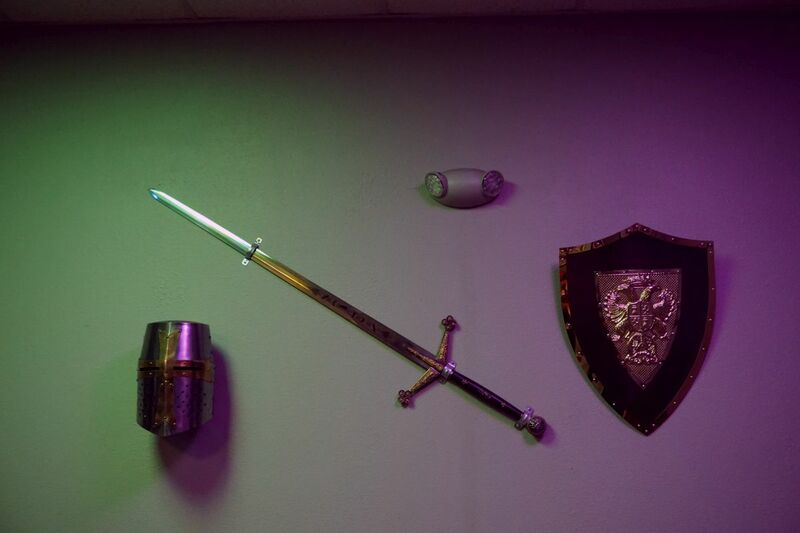 I liked the RPG theme, which made it stick out among the other similar breweries in the area. 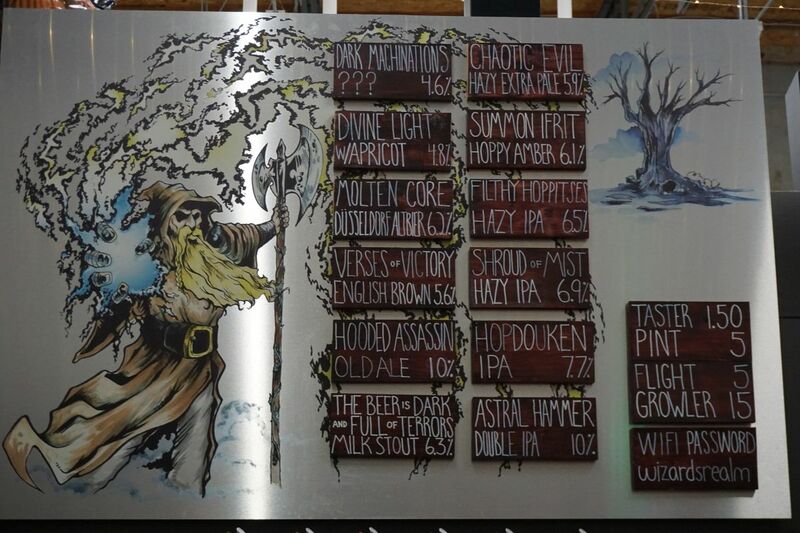 They appeared to have completely moved from any West Coast IPA to brewing full hazy IPAs based on the tap list. I started with the alt beer, a german style tending towards the malty flavors. This version had notes of cherry and caramel with light hop notes. While it was fairly authentic, it would be even more so if they served it on cask. If you missed it, I recently posted my experience visiting Dusseldorf to try the alt beer at its source. 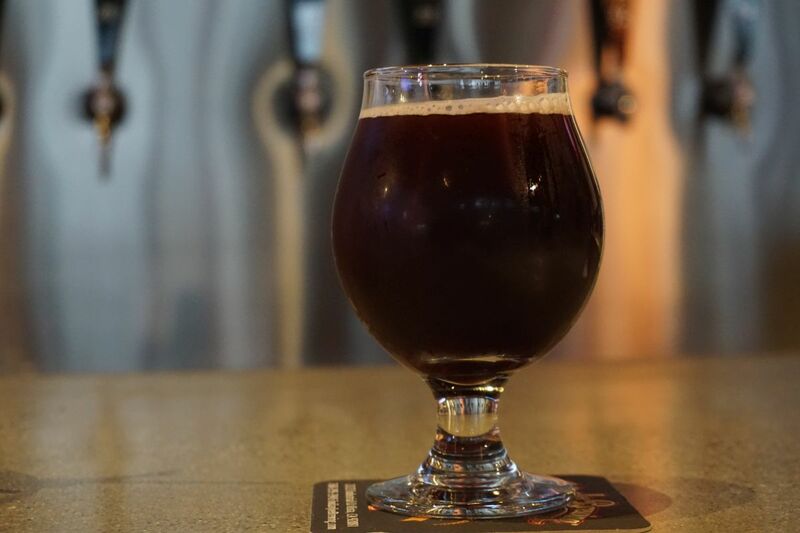 The brown ale was roasty with notes of cherry and light smoke. The beer had a dark red color and mild bitterness on the finish that balanced with a nice roast. The hazy pale had tons of tropical fruit and citrus with a good thick body and medium hop acidity on the finish. It was the best balance of the two. The stronger hazy IPA had notes or herbal hops with melon and pine and a lingering bitterness. While they nailed the mouthfeel on this one, it was a bit too bitter for the style. Both hazy beers were well done and up to the level of most local versions. 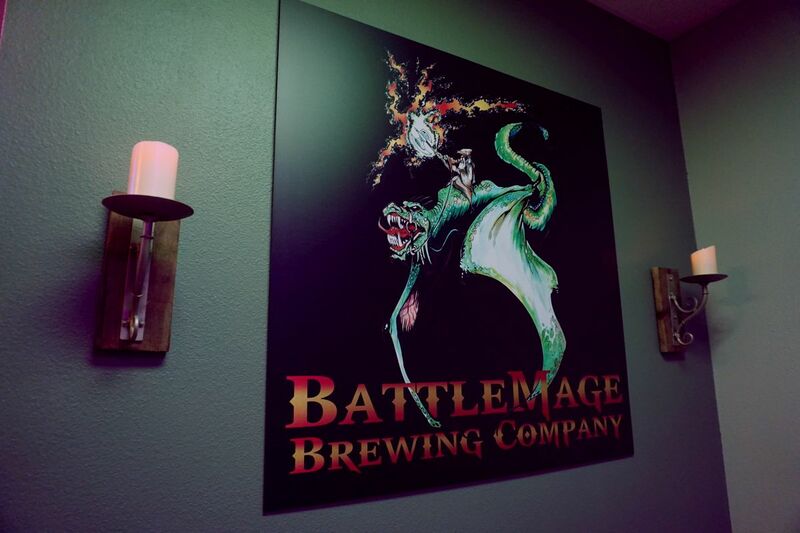 Battlemage had some solid beers and is a great spot to visit if you are up in the Vista area. They seem to have the hazy mouthfeel down even if they tend towards a bit of a west coast style by giving them additional bitterness. I had written Wavelength off and was waiting for a good excuse to return when it was reported that an ex-Belching Beaver brewer had taken over the reins. They had a great space so this was the perfect chance for me to return and see if they improved. I tried all the beers on the board though one of the things I liked was that they no longer had such a huge list of beers. Instead, the new brewer was focusing on some key styles until he can get things dialed in. The Octave Orange wheat ale was a good clean wheat beer, lightly fruity and with a good clean finish with light spice. The Golden Note blonde ale was fruity and crisp with a nice dry finish. It was a bit thinner than the wheat and had a nice subtle hop kick on the finish. The Aprikose apricot Berliner had a nice earthy malt character from the base that blended nicely with light tart kick and mild apricot notes. I was impressed because the apricot didn’t overpower the base beer. The beer also had a good medium body. The Hop Squash hazy IPA was not particularly hazy but has a nice orange/gold turbidity. It showcased intense tropical fruit on the nose. The beer had a nice soft body with tropical fruit and mild pine. Though not hazy it is a tasty soft modern IPA with minimal bitterness and a fruity finish. This is also miles better than their IPAs used to be. The Off Kilter scotch ale was quite delicious with notes of caramel and molasses, a light bitter bite, and mild burnt toffee notes on the finish. It also had some nice mild dark fruit character. It is a really excellent scotch ale, lightly sweet and super smooth body. It is likely to satisfy those who only drink stouts. Adophis barleywine was the only beer on tap from the old brewer. It showcased notes of dark fruit and biscuit malt base with spice and floral character from the hops with a strong bitter bite. It was more hop forward for a barleywine than I generally prefer but still tasty. 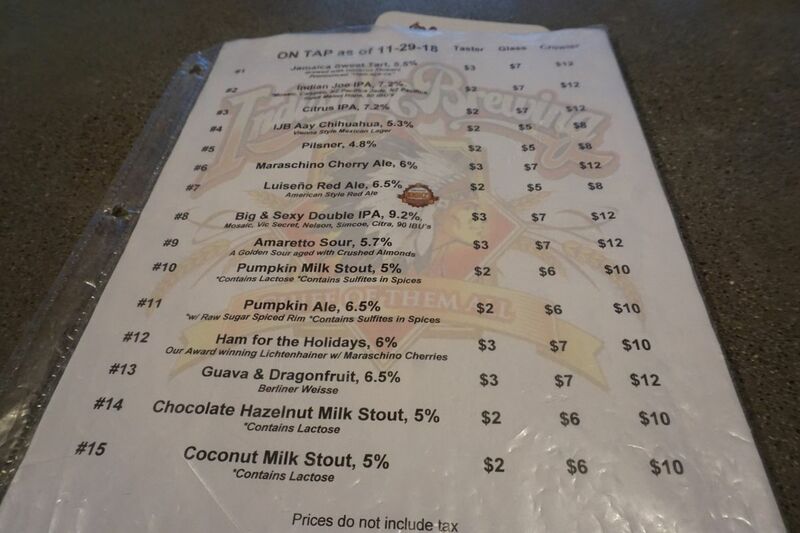 It is refreshing to see a shorter tap list here than the huge number they had on tap the last time. The IPA is a huge improvement over the various IPAs brewed previously and the scotch ale and berliner stand out as my favorites. 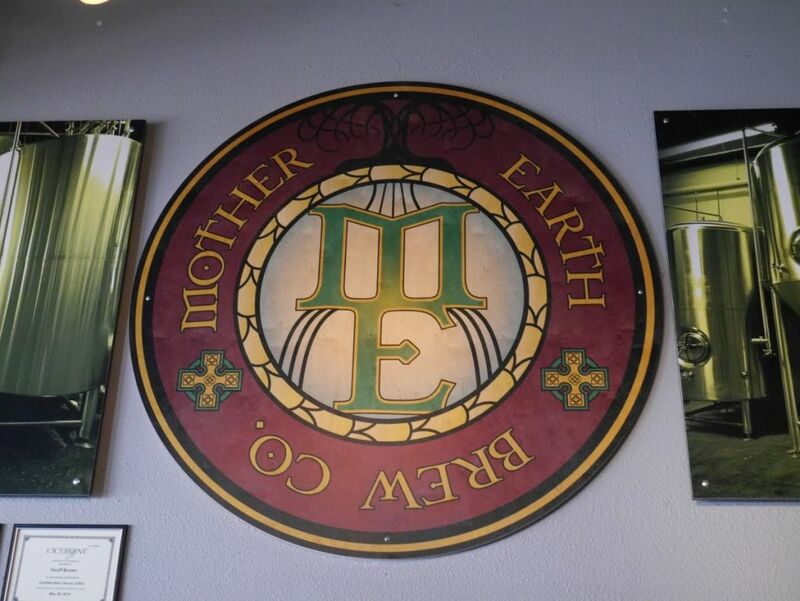 Wavelength now has a quality of beers that should allow them to compete with their neighbors, including the popular Mother Earth brewing. 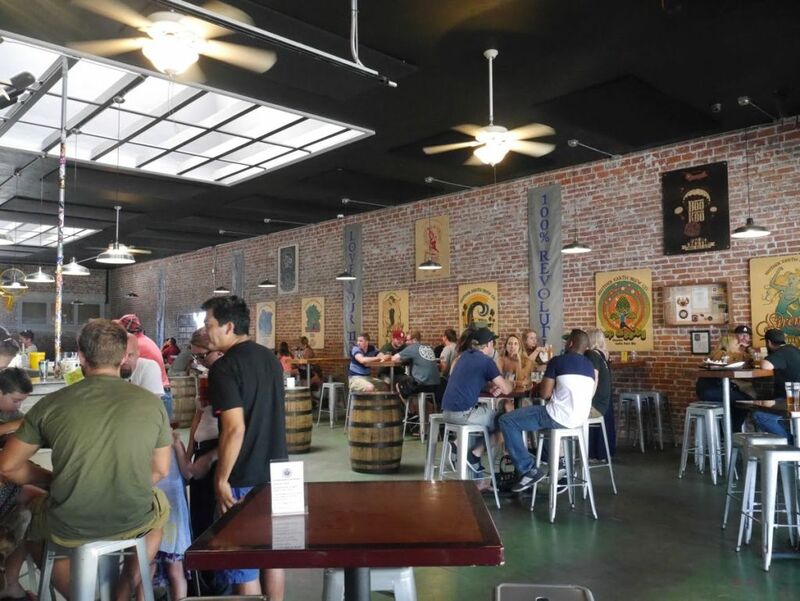 Twisted Horn has a beautiful tasting room where you can try a variety of meads and ciders, many containing fruit or other adjuncts that make them interesting. 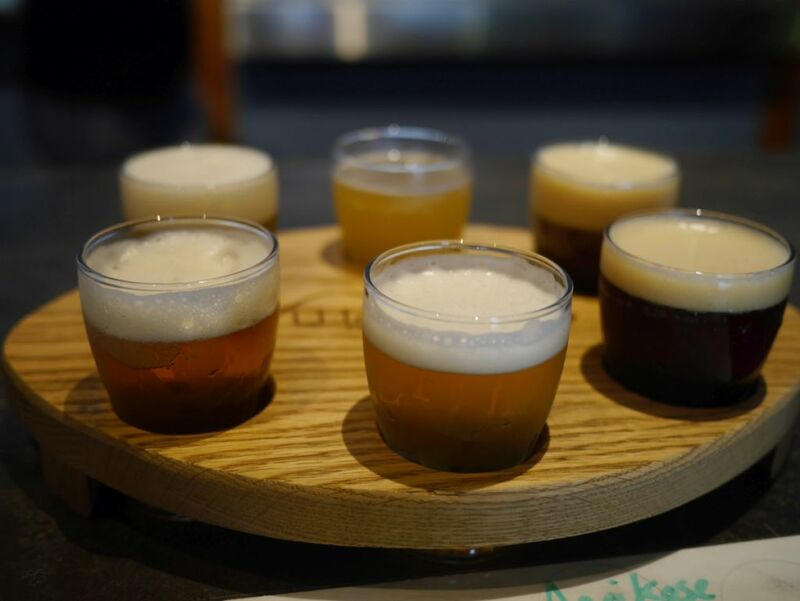 Tastes are served in 2oz pours, allowing people to try a number of them without drinking too much alcohol. The meads are all around 9% alcohol and the ciders tend to hover around 5%. 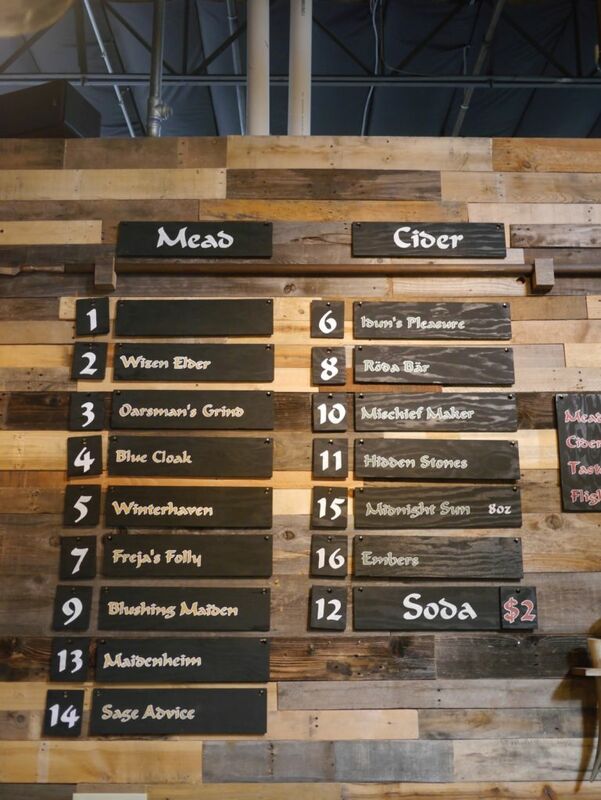 I tried four meads and five ciders while I was there and found quite a number of delicious ones. 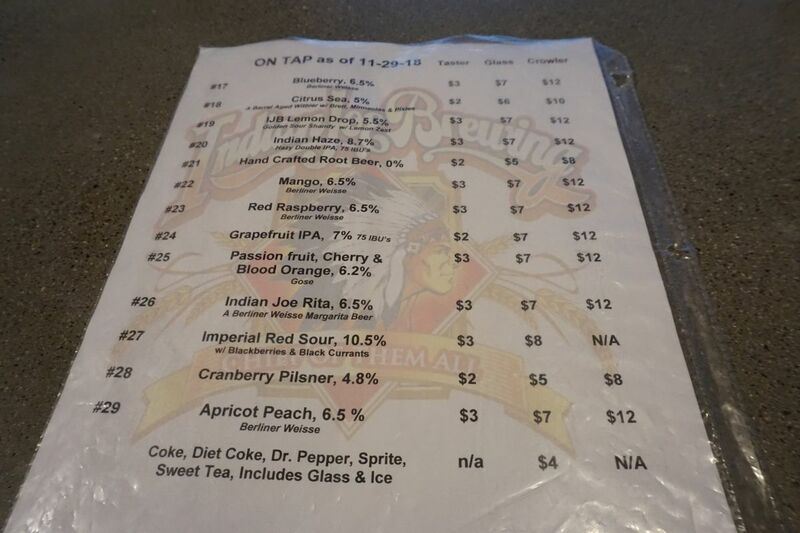 The meads I tried included various flavorings of cranberry, vanilla, blueberry, and coffee. They were all quite delicious and presented subtle flavors that blended nicely with the sweet honey base. Of the four I really enjoyed the one with blueberry for its mild tartness and acidity. I also enjoyed the cranberry one for the light tart kick it gave. 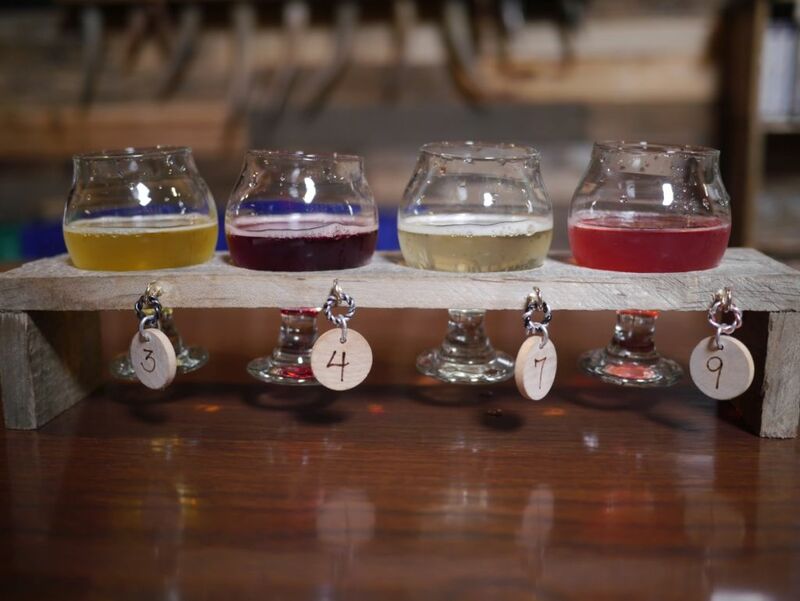 While I enjoyed the meads, the ciders had more intense fruit flavor and impressed me the most. Of the ciders I tried the plain dry cider, cherry, peach and ginger, raspberry, and strawberry with hot peppers. Though I was hesitant at first the strawberry was my favorite of the bunch with strong sweet strawberry notes and some mild heat in the back. I also really enjoyed the raspberry. Though I didn’t get much chocolate from it, it had a strong flavor of raspberry and light tart finish. The cherry was a bit more subtle but still had a nice tart finish. I enjoyed everything I tasted at Twisted Horn and recommend coming for a visit. I would have brought some home in a growler except I didn’t think to bring a 1 liter flip top growler from home and I try not to buy new growlers. If you have a 1 liter growler at home bring one with you to fill. Most people who I saw while I was there left with growlers to bring home. 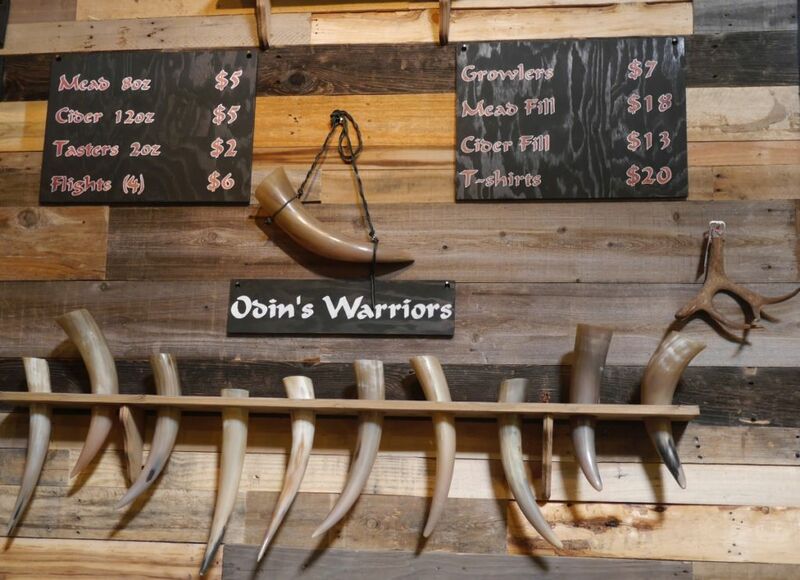 Twisted Horn is also very close to Toolbox so you could visit both in one trip quite easily though you may want to spend all your time at Twisted Horn after you try their delicious cider. 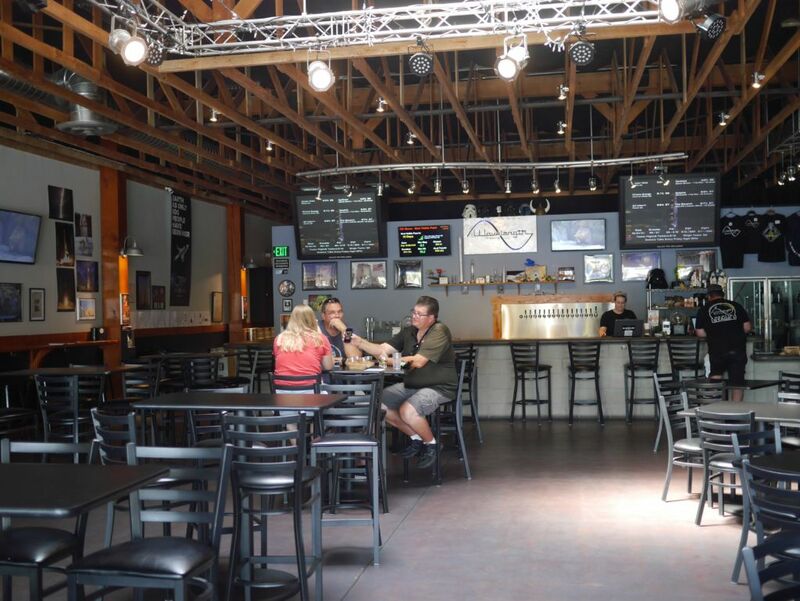 Occasionally I have need to update a post on a brewery that has changed significantly since the last time I posted. 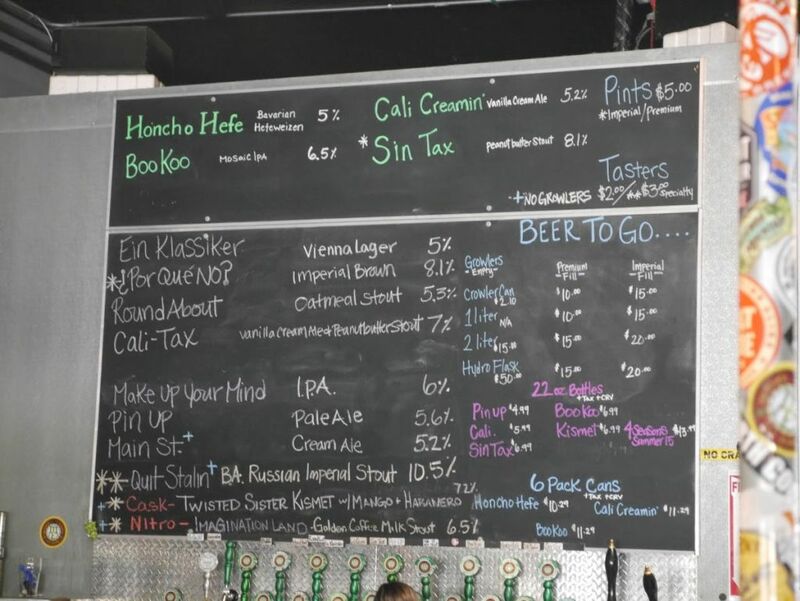 Back when I visited Toolbox it didn’t seem very likely that the entire core of their beer would change so drastically. But brewers are people too and disagreements occur that lead them to move on to other breweries, as was the case when one of the head brewers from Toolbox left. 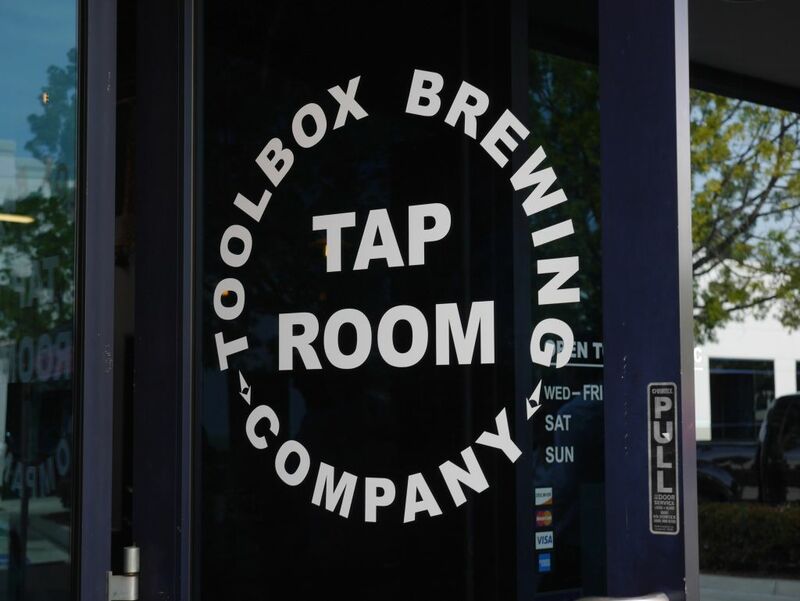 I don’t intend to get into the specifics of what happened as that is none of my business but I do want to explore for you the big differences in the types of beer available at Toolbox. For those interested you can read my original Toolbox post. I have updated it with a note to indicate that the information is outdated. 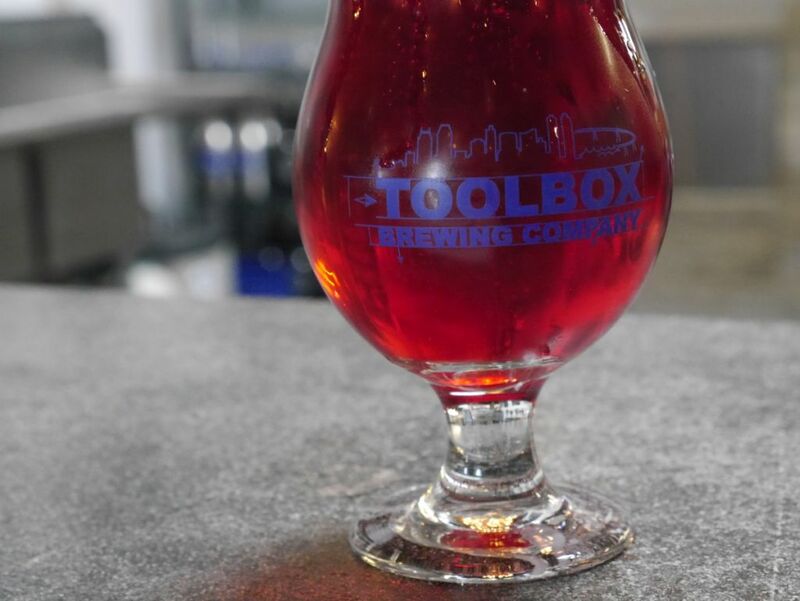 You may recall previously that Tart X was the basis for many of the fruited sours that were available at Toolbox. 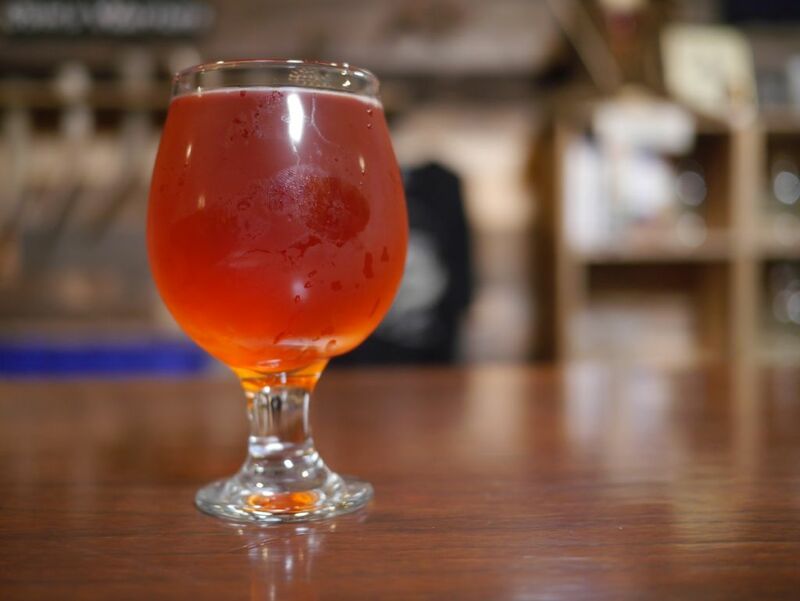 This seriously tart base beer made for some quite tart fruited sours. 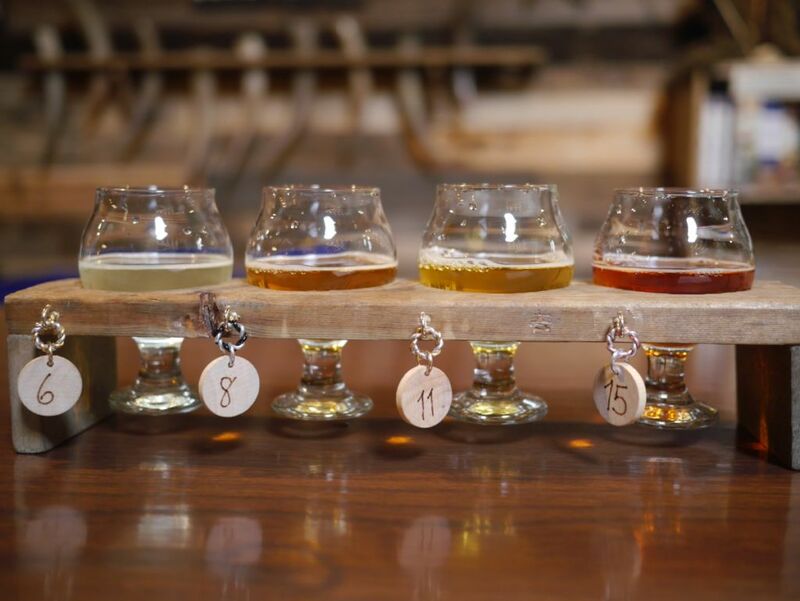 Now the brewery appears to focus on a few different types of beers, Berliner Weisse, Gose, and barrel aged sours. I didn’t try everything on the menu in my recent visit because at $3 to $5 per taster depending on what you were ordering that could get quite expensive. 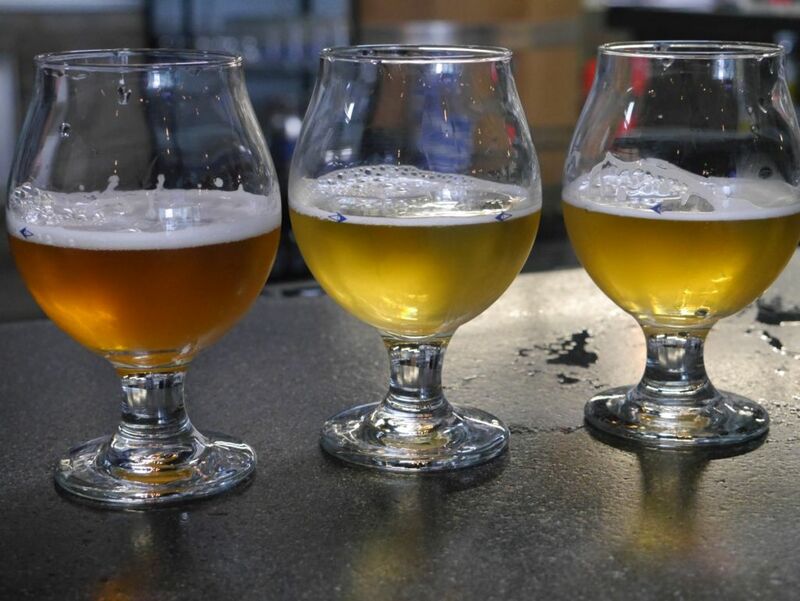 But I could easily tell that trying the gose, berliner weisse, and barrel-aged sour they had on was an important part of understanding their new direction. I tried five different beers on my latest visit, Free Range Lettuce, Funky Wit, Cumcumberliner, Life Gose On, and Bramble on Rose. 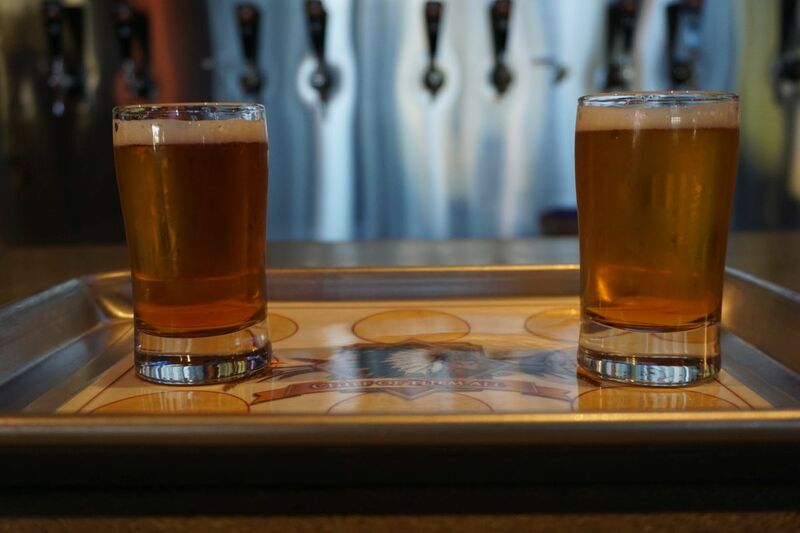 The Grass Fed Lettuce is described as a dry-hopped sour pale ale with amarillo, galaxy, and hallertau blanc hops. However, I found it lacked both the flavors of the three hops and the sour kick I expected. It was a quite funky pale ale with really mellow hops and a bitter finish. Perhaps I missed it when it was first put on but hop heads won’t find anything exciting here. 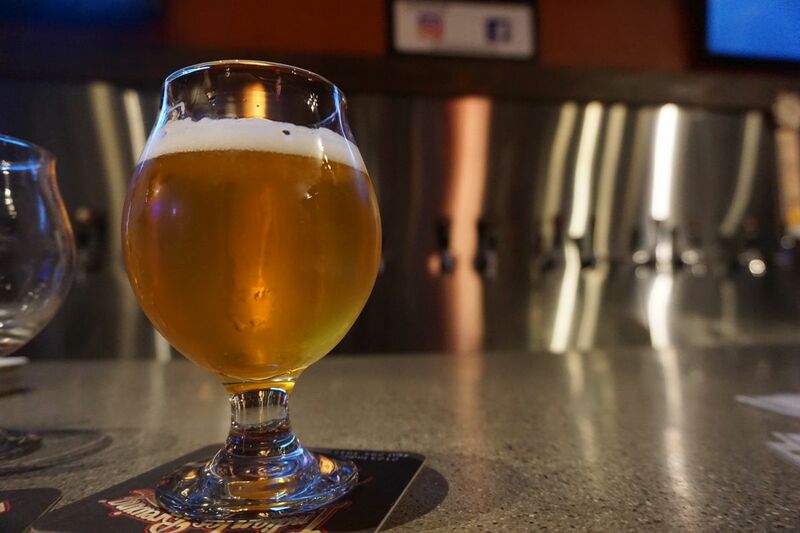 The Funky Wit is a twist on the traditional Belgian Wit with the addition of the Brett yeast. In this case the wild yeast gives the beer a very slight funk and a bit of bright fruit notes. Otherwise the beer has a nice high carbonation with light spice and a mild sweetness at the end. Quite a delicious beer and quite different in flavor from typical local versions. The Cucumberliner is a Berliner Weisse with cucumber, 18 pounds per barrel to be exact. I found the beer to be a delicious mix of tart and intense cucumber flavor. It had a bit of a mouth puckering effect and a nice hint of citrus at the finish from the underlying beer. This was one of my favorites of the day and I left with a bottle that is thankfully reasonably priced at $8 for 16 ounces compared to other sours. The Life Gose On is described as a tart wheat ale with coriander and sea salt. I found it mildly salty yet balanced with a mild tartness and light citrus notes. I think the saltiness was what kept me from getting the citrus gose they had in bottles at the tasting room but I look forward to trying other varieties. As you can see on the beer board two of their other beers were fruit varieties of the berliner weisse. I did not try these in my visit. 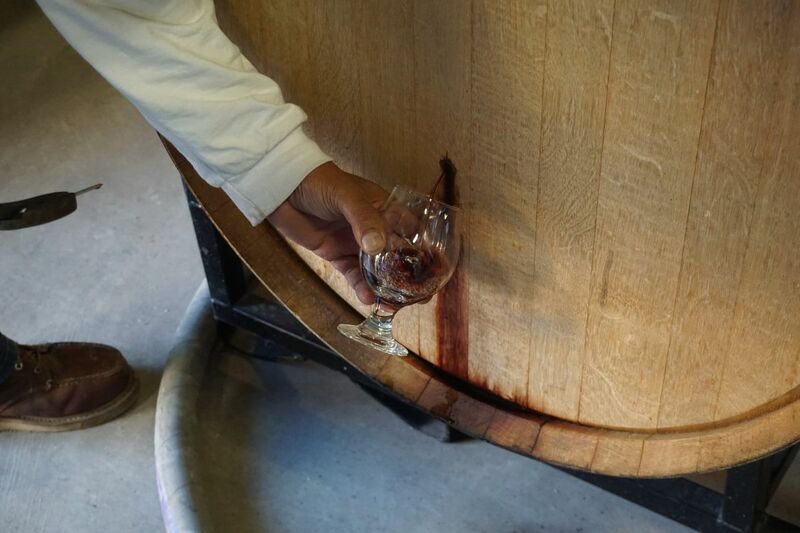 The large number of barrels in the brewery indicates how deeply they have gone into barrel aging. I ended with the Bramble on Rose, a barrel aged wild ale with local blackberries. I found it to be absolutely delicious and I was glad I went straight for a full pour the first time. It was bursting with blackberry flavor and had a nice light sour that balanced with a nice light sweetness. The barrel really gave the beer a nice smooth finish. Probably the closest comparison I could make with this beer is the Cascade Blackberry Sour I had recently, quite high praise as Cascade has been brewing this style of beer for many years. I left with a bottle of this beer despite the $22 price tag because they indicated the bottles were going fast and I felt myself wanting more after I finished the first glass. You probably won’t find this beer available when you visit but if you do see a barrel-aged variety you should absolutely try it. Hopefully over time the amount brewed in each batch will increase. The delicious red color of the Bramble on Rose. 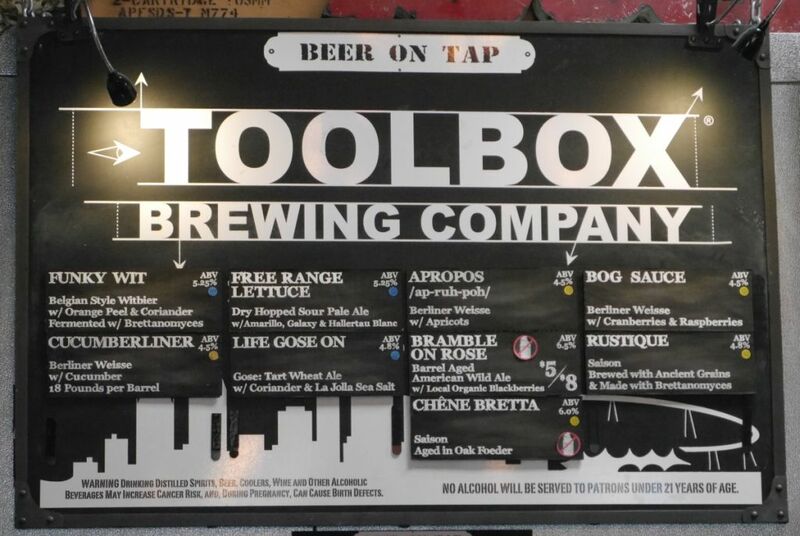 One other thing to note here is the absence of the IPA and Stout that Toolbox brewed before. 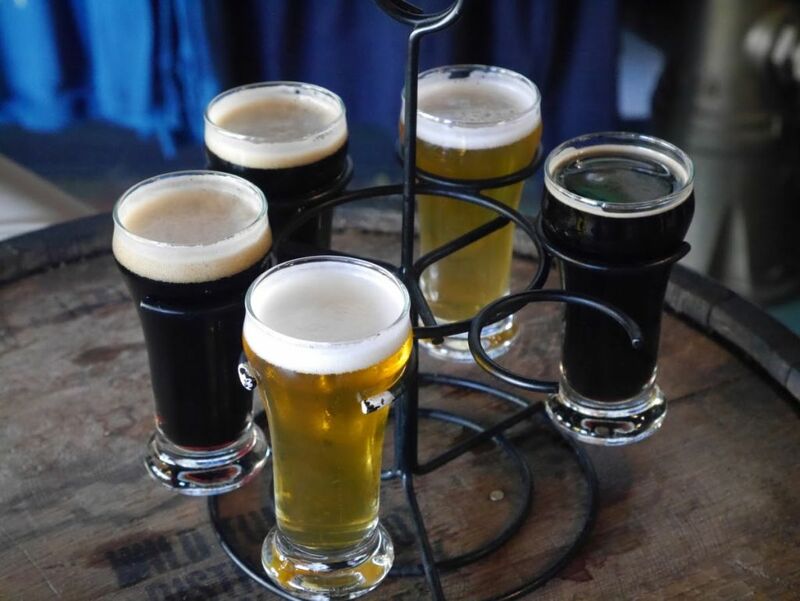 If you happen to visit with a friend who doesn’t like sours, I hope you are visiting multiple breweries in your trip as there are plenty of great breweries in the area that brew fantastic IPAs and Stouts. Now that I have become familiar with the world of sour beers I think it is fantastic that they have gone all in with sours and decided to no longer brew an IPA. After all they are surrounded by many great breweries that do the IPA properly.